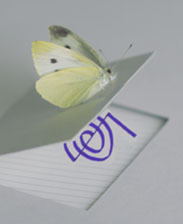 The instructions for stacking the Reiki flash cards described on page 102 of my book, The Everything Reiki Book, is missing one of the power card placements. I wish that error hadn’t gotten past me in the final proof-reading. For those of you who have a copy of the book if you coordinate the stacked flash cards with the six steps from the absentia formula as it is printed on page 100 you’ll be okay. If you choose to send Reiki to a second person then you would add two more cards. Repeat with two additional cards (same as 7 and 8 ) each time you add in another person. That’s the basic formula. But you can use the Power symbol freely, adding in as many as you like. You could even sandwich your intention card between two Power cards. I will add extra power symbols into the formula whenever I feel the situation could use an extra punch of power. In sending absentia energies remember to begin with a Power symbol and end with a Power symbol and you’ll be sending a “whole healing transmission.” One mistake new practitioners will make is sending the symbols off in fragments before they have completed drawing them or visualizing them. This creates fragmented or scattered energies being sent off. You want all the symbols to be whole before you send them. Better yet, send all the symbols together as a group, not individually, to assure the most benefit to the recipient. Welcome to the Everything Reiki Blog. 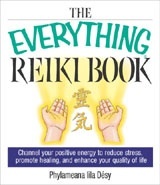 This blog is the home of The Everything Reiki Book and “Everything Reiki” in general.